Aviary netting is great for bird control, housing any game birds such as pheasants and for the protection of poultry against predators such as hawks. Aviary wire mesh does the same thing except it is more aimed at birds with stronger beaks such as parrots. When building or repairing a new flight pen/aviary, high quality aviary netting or aviary wire mesh is essential. 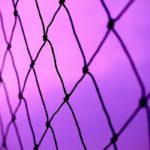 Should You Use Aviary Netting or Aviary Wire Mesh? It is normally made from materials such as nylon or polypropylene. It is normally made from aluminum, stainless steel wire and galvanized steel wire (after welding). 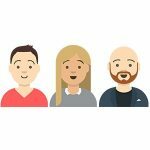 After using the above guide to decide which material is needed, next you’re going to have to think about the spacing & dimensions, strength & thickness, durability & longevity and finally the type of material used. How small do you need the gaps between the nets or wire mesh to be? Game birds can be held within aviary netting that has 2″ gaps but are stronger and more effective (but more expensive) with 1″ gaps. Pet birds such as parrots can be held within aviary meshes that have 1″ gaps. For smaller sized birds such as finches you may need 1/2″ gaps. If you are thinking of breeding birds and raising chicks then consider the wire mesh that is 1/4″ in size. The table below shows mesh and netting space sizes that are required for different bird species. Wire spacing size listed is the maximum recommended amount and wire diameter size listed is minimum recommended size (for the wire mesh). When it comes to the strength of your net or wire it needs to be strong enough to 1) prevent your birds from escaping and 2) prevent intruders from entering (more information is available in our guide to predator proofing your bird cage). If you live in areas that experience weather extremes such as snow and ice, then it is a good idea to go with aviary netting that is thicker and therefore stronger than usual. Ice is likely to freeze and damage knots that are made from thinner materials, whereas a thicker netting will be more resistant. What’s more, some types of pet birds such as parrots are known to be chewers – these birds will chew away at your aviary mesh if you are not careful. To prevent this make sure you choose a strong, high-end aviary mesh. Cheaper low-end materials will result in a lost bird. When planning out your aviary or making repairs, ensure that the aviary netting or wire is large enough to cover your aviary panel. Measuring beforehand and planning ahead is essential. See our full guide to sizing an aviary here. 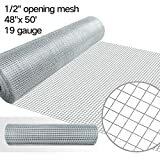 However, sometimes you may need to fix together two pieces of mesh to fill an extra large space in which case you may need to use some additional tools and materials. According to the World Pheasant Association, if you’re using netting for game birds then you’ll need at a minimum 100 foot square or 10 meters squared of netting. Bird aviary netting should be UV resistant or UV stabilized so that it does not lose it’s form and strength when left out in the sun. Netting is normally made from Polyethylene, Polypropylene or Nylon all of which are fairly resilient and rot resistant. 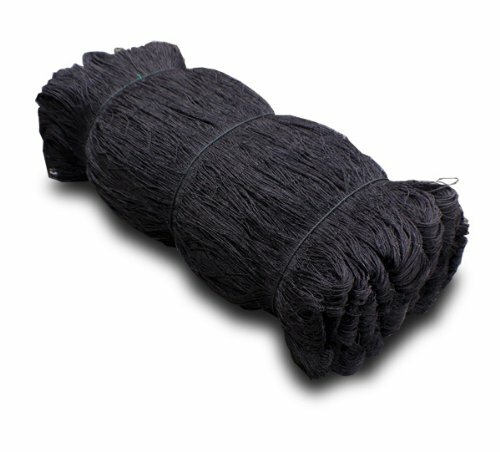 According to USNetting.com, Nylon is well suited for this purpose as it provides both superior strength and UV protection. Netting made from Polypropylene on the other hand is normally used in areas where it is likely to be very wet because of it’s water resisitance. If you buy a good quality aviary net then you can expect it to last around 10 years before it needs to be replaced, sometimes longer. Aviary mesh on the other hand should be made of aluminum, stainless steel, galvanized steel after welding (not before welding) or similar materials so that it does not rust. If the wire is not made from rust resistant material then it will only last a few months before it falls apart. According to CustomCages.com, aviary mesh can be made from a number of different bird safe materials including: steel, stainless steel and aluminum. The main thing to watch out for with steel is if it is galvanized. If it is galvanized steel after welding then it IS bird safe but if it is galvanized steel before welding then it is NOT. If you want to provide your bird cage or aviary with a clearer view then you might want to consider using an acrylic or glass panel material instead. See out guide to acrylic bird cages for more information. The main drawback with glass or aluminum panels is that it is harder for the bird to climb up the sides of the cage or aviary because the panels are flat. However, you can easily overcome this issue by providing perches, bird ladders and swings inside of the aviary. Stainless steel is perhaps the best metal for parrot housing because it is bird-safe, strong, lightweight and rust proof. 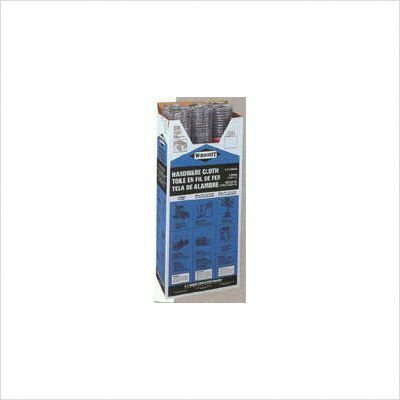 This makes it ideal for aviary mesh panels and bird cage wire. Unfortunately the drawback is that it’s more expensive than other materials. If you’re considering using stainless steel, then check out his wire mesh available here, and also consider looking at the stainless steel bird cage options available here. When reviewing the nets and wire listed below, we considered the strength, durability and type of material used. We also looked at the space between the netting as well and the total dimensions that the wire covered. 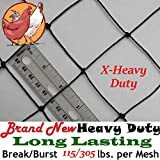 Confinement – Keeps large game birds such as pheasants, chickens and turkey’s inside your bird pen whilst able to be withstand large intruders such as hawks, deer, dogs and coyotes. Strong and long lasting – Made from Nylon that has PE-Plus Premium Grade strength and is UV resistant so can be left outside for years. Able to withstand extremes of temperature – both hot deserts and snowy winters. Rust Proof – Galvanized steel wire (after welding) that provides this wire to have an extra long life, even in wet conditions. Heavy duty – A high quality aviary wire that is strong enough to even protect against chewing birds. Smooth edges – Has trimmed and adjusted edges to make installing this mesh onto panels that much easier. For large amounts of heavy duty aviary netting, first check this link here as this will provide you with the easiest solution. Otherwise, we recommend investigating a few specialised heavy duty aviary netting suppliers – most normal suppliers just won’t cut it. Two popular companies that work in the USA and should be able to help you out include Tractor Supply and Lowes. Screen Door Mesh Netting Curtain – Ideal for walk-in aviaries. With it’s magnetic auto closing locks it’ll prevent birds from flying out of any out door aviary. Cable Zip Ties – For fixing together the aviary netting. Wire Cutter – Used to adjust the sizes of the aviary mesh. Wire Clips – When you need to join together 2 pieces of wire or more. U nails – For fastening the wire mesh. Plier Set – For finishing off any other jobs. 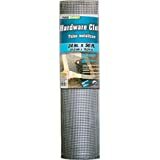 Gorilla Tape – A high end, all purpose duct tape that can be used as a fix for netting repairs. Creating aviary panels is fairly simple process. To start, you’ll need some of the tools and equipment listed above. The first stage involves cutting and hammering the wood together using nails to create the frame. Once the frame is created, you then place the aviary wire over the frame. This aviary wire is then nailed into the frame using a hammer and u-nails. The frame thgen gets joined up with the other frames to create the full aviary. You can see our guide to creating aviary panels and a full aviary here. If you need advice on how to install aviary netting then check out the video below that shows the construction of a flight pen for pheasants. 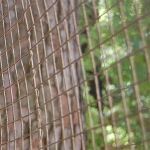 Why Do You Need Aviary Netting? 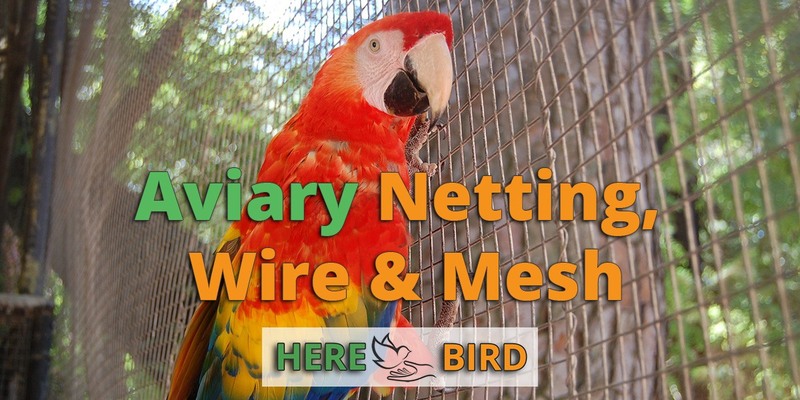 Once you’ve decided upon the aviary netting and aviary mesh that you need, you may then also want to check out the How to Build An Aviary guide, where you can build at aviary at 80% of the cost of buying one. You may also want to consider our guide to pheasant pens which often use a large amount of netting or falconry mews if you own a hawk. What kind of mesh or getting do I use for a macaw ariary. I read that galvanized wire is toxic to parrots because of the zinc content. Some people have said to sponge it down with vinegar, other articles say thats a myth, and some people say theyve had no problems while some report almost losing their birds to heavy metal toxicity. Can you clarify? As an extra large bird you can go with wire spacing at a max of 1″ to 1-1/4″ and with a wire diameter at a minimum of 5mm.